The student-to-faculty ratio is 3:1. Students declare an academic option, or major, at the end of their freshman year. The Summer Undergraduate Research Fellowships (SURF) program introduces students to research under the guidance of seasoned research mentors at Caltech and NASA's Jet Propulsion Laboratory. Students are able to take advantage of cross-registration at 2 nearby institutions, Occidental College and Art Center College of Design. Every freshman is assigned a faculty advisor who will stay with them throughout their first year. Students are assigned an option-specific faculty advisor once they have declared an option/major. 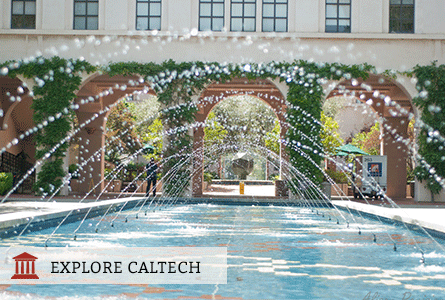 Caltech offers 6 study abroad programs in Cambridge, London, Copenhagen, Edinburgh, Paris, and Melbourne.